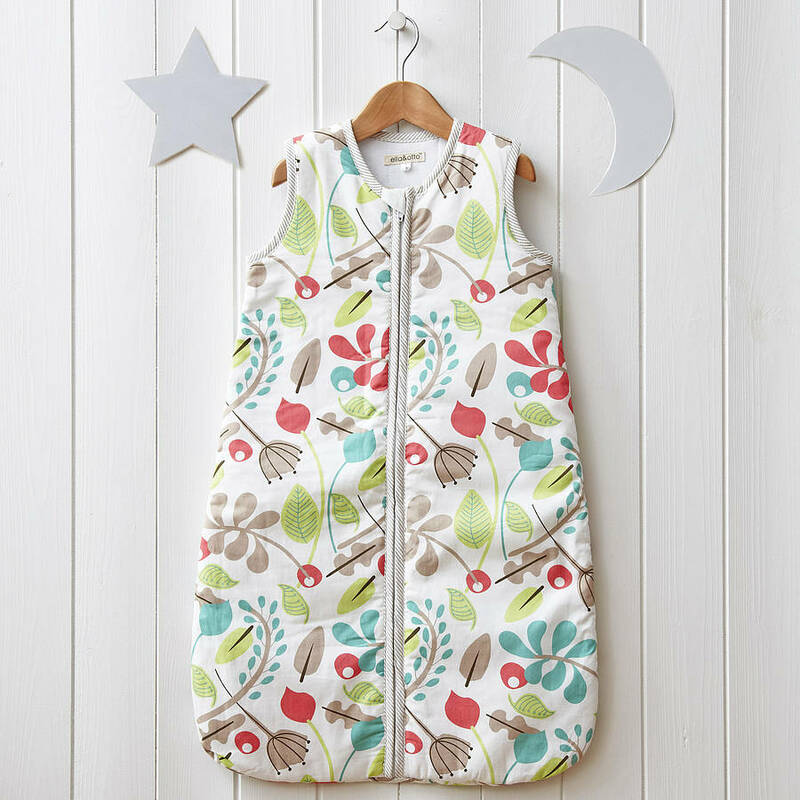 Cosy and beautifully designed baby sleeping bag. Perfect for bedtime and naps whether at home, abroad or visiting friends. 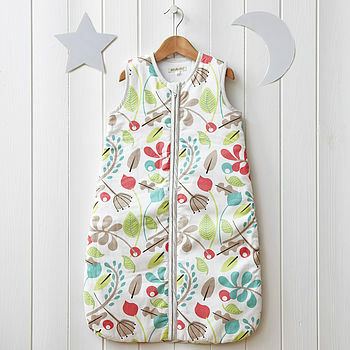 If your baby loves being swaddled, as most do, this is a fantastic next step to sleep. 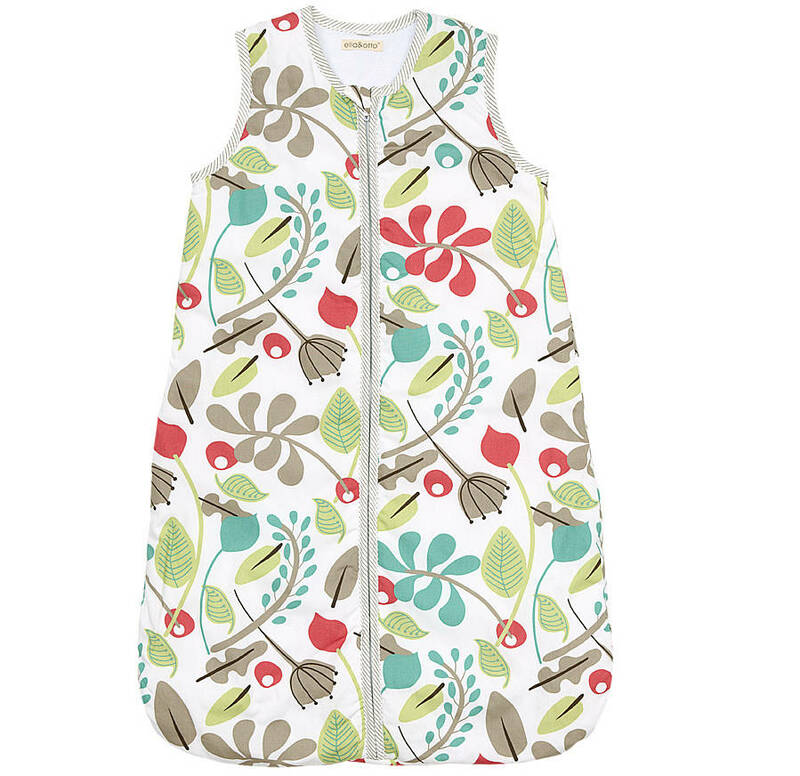 It gives babies the freedom to wiggle away whilst keeping baby safe, snug and comfortable. You can choose between popular Lollipop Sea - with its fresh greens it is suitable for boys and girls and the Lollipop Rose or Leafy Garden design - makes it feminine but not overly girly, with calming pinks and a grey tone.